From the Explorer menu select Preferences. Expand the Web Browser menu and select Web content. Check the checkboxes for Show style sheets and Enable scripting. 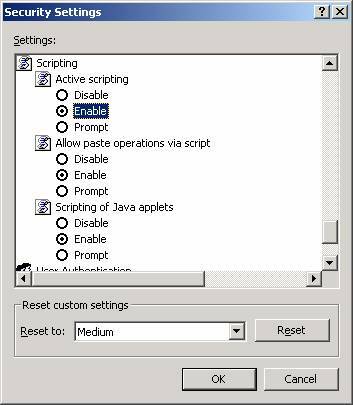 Click "Advanced" (not the "+"), then open the "Scripts and Windows" subsection. Click "Advanced" (not the "+"). Click the word "Advanced" (not the "+"). Click the "+" next to the word "Advanced" (not the word itself) to expand the Advanced section. From the Netscape menu, select Preferences.